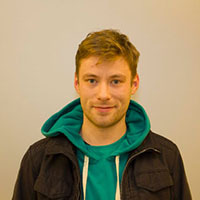 Benjamin Komel is the new member of the LEST laboratory team. He graduated in 2014 and obtained a master degree in 2018 at the Faculty of Electrical Engineering in Ljubljana. Before he started writing his master thesis he has worked as a junior developer at Smart Com d.o.o. His main tasks will consist of business model and value analysis tool programming at projects COMPILE and CROSSBOW. We extended the abstract submission date. Authors will now be able to submit their papers’ abstract submissions up until 1st February 2019. Check the EEM19 website for conference updates and recently confirmed keynote speakers.